Some elderly residents forced to evacuate during Hurricane Michael are now getting settled in Middle Tennessee. Thirty-three residents and ten staff members left their assisted living facility in Panama City Beach, Florida earlier this week. 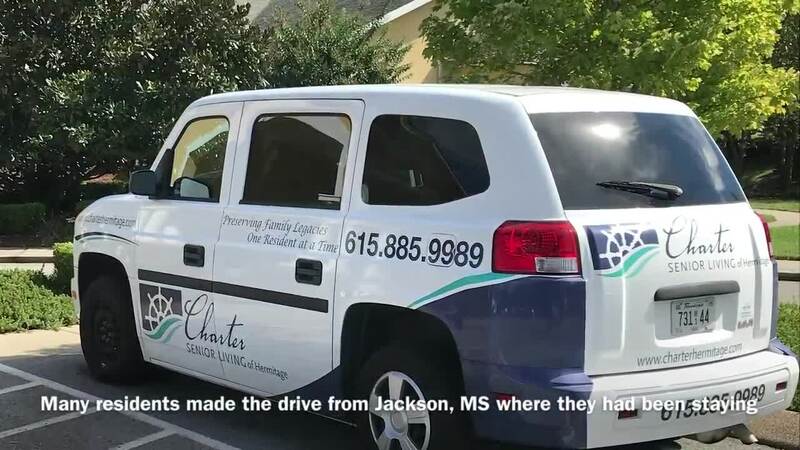 Most were moved to a hotel in Jackson, Mississippi before coming to Charter Senior Living in Hermitage. Some of the residents left their homes with minimal clothing and personal items. Most are over the age of 80, and some are battling memory loss. Bennema and others have been working long hours to make sure the Hermitage facility was ready for the new guests. The American Red Cross dropped off some donations to help. Employees made sure rooms were ready and stocked with basic supplies. “Everyone had to come together to make sure we have enough resources,” said Bennema. Bennema said it made sense to move residents from Panama City Beach to Hermitage because they had openings at the facility. The buildings also have the same floor plan, so visiting residents should be familiar with the facilities. 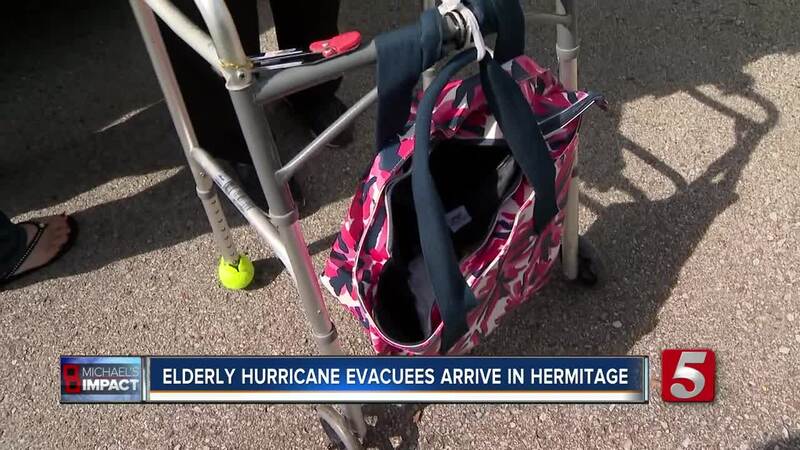 Barbara Schrader, age 82, arrived in Hermitage Friday afternoon. She evacuated with her family from Panama City Beach to Birmingham, Alabama before coming to Hermitage. Schrader said she was scared when she learned she had to evacuate, but she tried to stay positive throughout the process. It’s unknown how long the residents will stay in Hermitage, but it could be as long as 60 days. The Charter Senior Living facility in Panama City Beach did experience some water damage to some of the apartments. There are also widespread power outages in that area, and officials said it isn’t safe for residents to return. Charter Senior Living is accepting donations to help the new residents. Items needed include clothing, sheets, towels, blankets, and toiletries. Donations can be dropped off at the facility located at 4131 Andrew Jackson Parkway, Hermitage, TN 37076.